Significant improvement in ride quality! Our multi pitch TRS springs are a beautiful thing! This bowling pin style design not only looks cool but it reduces weight, helps spring stability, and is coiled in one continuous piece. This saves a tremendous amount of mechanical bind and shock body wear that you get in conventional multiple spring and transition collar designs. These springs work on many different applications and are a nice replacement for straight rate designs found on most oem sleds. 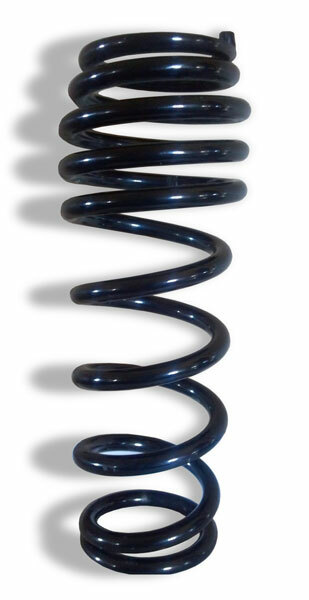 These springs are 12.0″ in length with the standard 1.90″ inside diameter and have a max working travel of 7.0″ and come with a coat of liquid black powdercoat!